Obituary for Daniel E. Jannotta | Castle Hill Funeral Home, LLC. Daniel E. Jannotta, age 71, of Dyer, Indiana passed away November 13, 2018. He is survived by his beloved wife Diane; loving daughter Gina (Ed); adored grandchildren: Erin and Ayden; dear sister Nancy; special niece Vicki and grand-niece Alison. Funeral Services will be Monday, November 19, 2018 directly at St. Maria Goretti Church: 500 Northgate Drive, Dyer, IN 46311 for a 10:00 a.m. Mass of Christian Burial followed by Interment Services at Memory Lane Memorial Cemetery of Crown Point, IN. Visitation Sunday at Castle Hill Funeral Home: 1219 Sheffield Avenue, Dyer, IN from 3-8 p.m. and Monday morning at the church from 9:00 a.m. until time of Mass. 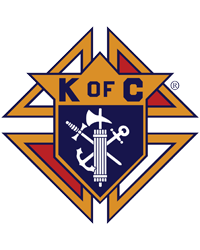 Daniel was a 4th Degree Knight and a past Grand Knight with the Trinity Council #3755 Knights of Columbus, Chicago, IL. He also was a member of Amvets Post #43, VFW Post #8141, Masonic Triluminar Lodge #767, Lansing, IL and a Lionel Train enthusiast.